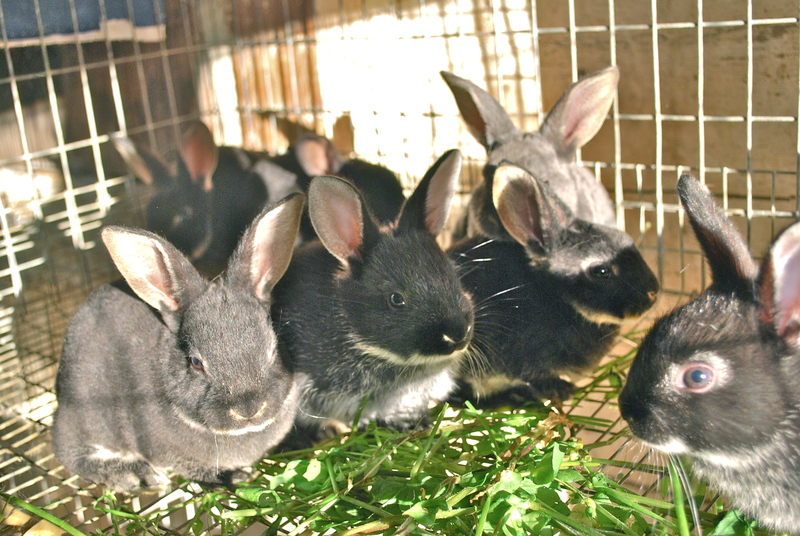 The 18 kits are all four weeks old now and still all living. One Silver Marten kit is fairly skeletal and I’m not sure he’ll make it. Other kits are smaller than they should be at this age, but that’s to be expected with the issues we had. The Blue Otters that popped up in the Rex litter are beautiful. I hope the one I have my eye on turns out to be a doe, as I’d like to keep her. It’s interesting to see the differences in fur density and marking quality. 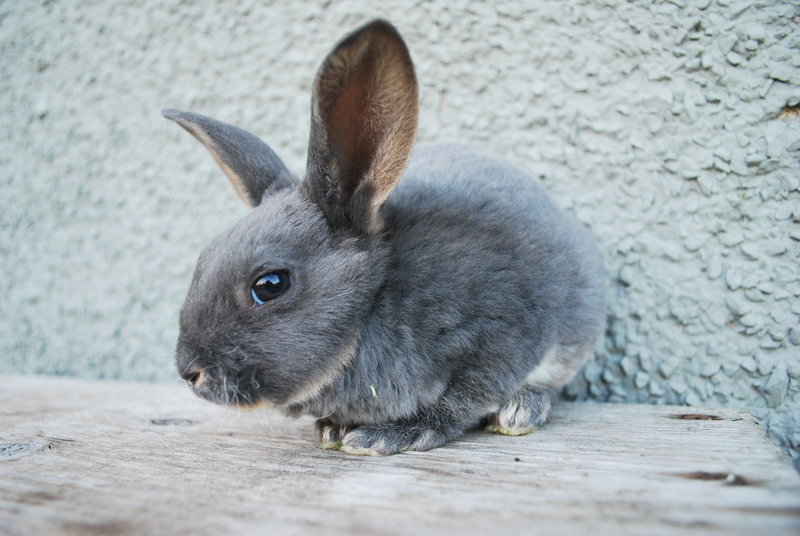 All the Rex kits are just so friendly and the Silver Martens are taking a cue from them. I’m not used to babies seeking petting and attention and being so curious. Giving you happy/sleepy eyes when you rub their ears. Usually they all freak out and pile into a corner until the Hand of Doom retreats. I decided once they all came out of the nestboxes that I was just going to load them up on fresh greens. They were malnourished and the mothers had been used to eating these same greens, so I took the chance. Every day they get huge bunches of grass, dandelions, chickweed, blackberry brambles and plantain. They all love it, and seem to be doing very nicely on it. 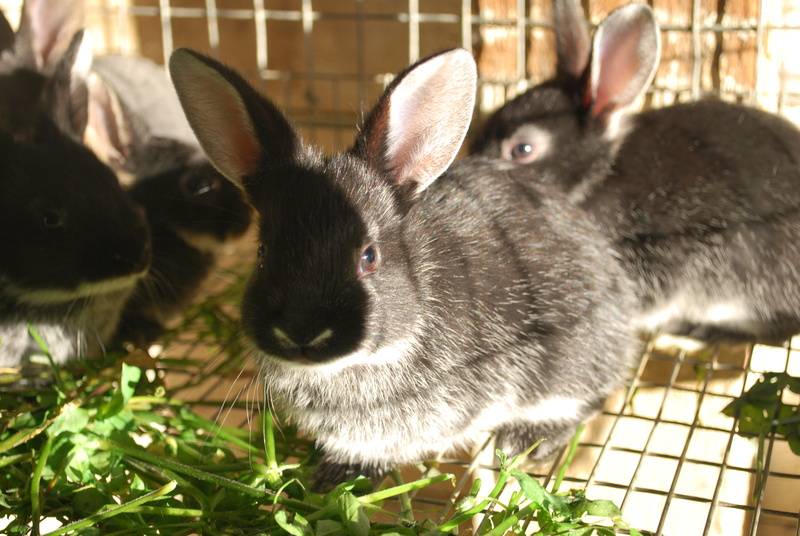 This entry was posted in rabbits and tagged blue otter standard rex kit, early weaning with greens, meat rabbits, silver marten kit. Bookmark the permalink.